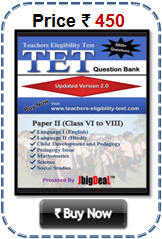 Telangana TET Result 2019 Paper I, Paper II Telangana State Teachers Eligibility Test TSTET) Results 2019 Telangana Teachers Eligibility Test (TS TET) Exam 2019 Conducted By Government of Telangana School Education Department. This Year More than 5 lac candidates has applied for TS TET Exam 2019 Telangana Teachers Eligibility Test (Telangana TET) Exam 2019 has two parts, Paper I and Paper II, very soon Karnataka TET (TSTET) Exam Result 2019 will be announced. The TS-TET-2019 was conducted in 2 papers viz. Paper-I & Paper-II. The candidates who intend to be teachers for classes I to V have to appear for Paper-I and the candidates intend to be teachers for classes VI to VIII have to appear for Paper-II. The candidates who intend to be teachers for all classes from I to VIII can appear for both papers, Paper-I and Paper-II. 20% weightage will be given to TS-TET scores in the ensuing Teacher Recruitment of the State Government i.e., 20% weightage is for TS-TET score and 80% weightage for written test in Teacher Recruitment Test (TRT). Teachers who were appointed before NCTE notification, dated 23.08.2019 on selection by District Selection Committee or by competent authority in Govt. 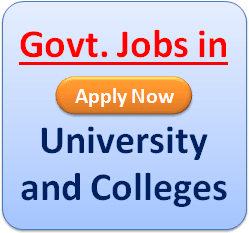 / Local Authority as per Recruitment rules prevalent at that time are exempted from appearing TET Exam. However, teachers working in private schools whose appointments were not approved by competent authority in Government are not exempted from passing TET. Such teachers of private unaided schools can also appear TET conducted by either state Government or Central Government. Teachers working in private aided schools whose appointment is not approved by the competent authority should invariably pass TS-TET only. The validity of certificates shall be for a period of 7 years from the date of TET concerned. 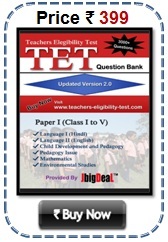 The TS-TET shall apply to all schools referred to in clause (n) of Section 2 of the RTE Act. However, a school referred to in sub-clause (iv) of clause (n) of Section 2 of the RTE Act may exercise the option of considering either the TET conducted by the Central Government or the TS TET. TS TET Result 2019 will declare very soon, candidates can view Telangana Teachers Eligibility Test (TS TET) Exam Result 2019 Online here. Those candidates who are declared qualified TSTET Result 2019 shall be awarded a Certificate by the Telangana Teachers Eligibility Test Board. Separate Certificate shall be awarded to such candidate who appear and qualify for more than one level Telangana TET Result 2019. However, the statement of marks of all the candidates appearing in “TS TET” shall be made available on the website of the Board.